The firebird ,(Slavic folklore) is a magical glowing bird from a faraway land, which is both a blessing and bringer of doom to its captor. The Firebird is invariably described as a large bird in majestic plumage that brightly glows in red, orange and yellow light, like a bonfire that is just past the turbulent flame. The feathers do not cease glowing if removed, and one feather can light a large room if not concealed. In later iconography, the form of Firebird is usually as of a smallish peacock of fire colors, complete with a crest on its head and tail feathers with glowing "eyes". Beautiful handmade handbag of bolivian blanket firebird, an sport and practical accessory, very strong and made of peruvian wool that let you carry on all your things in a comfortable way. It is preferred by travelers and students. There are several , design, and colors. It is a great gift for friends and family , this Handmade handmade handbag of bolivian blanket firebird is high quality at low price, and the best is free shipping .You can start collecting the Incastreasures bags. 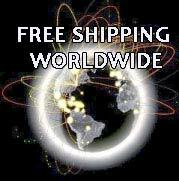 We will add a free gift with your handmade handbag of bolivian blanket firebird . The most original gift , by fair trade artisans, no animals were harmed to make this Handmade Handbag.